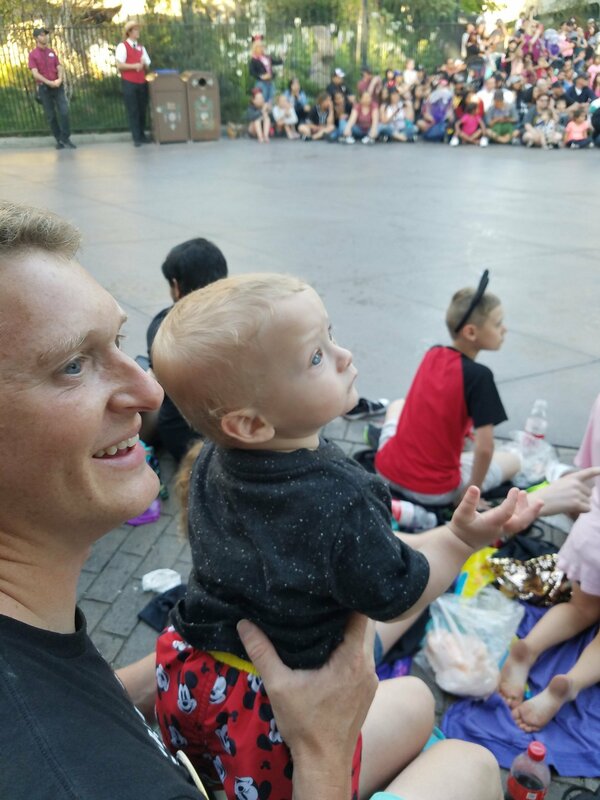 After years of visiting Disney World, our family was excited for the opportunity to experience Disneyland for the first time. 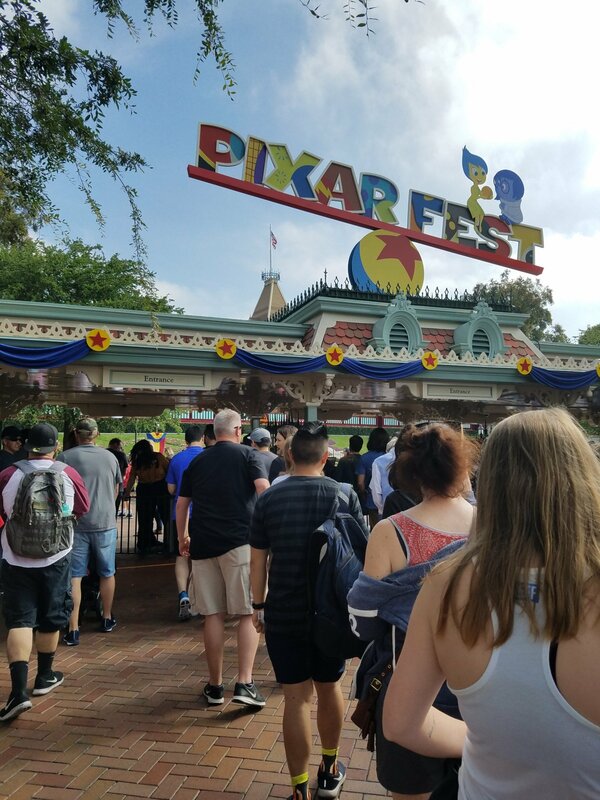 As an added bonus to our already exciting trip, we were able to experience Pixar Fest! Whoohoo!! 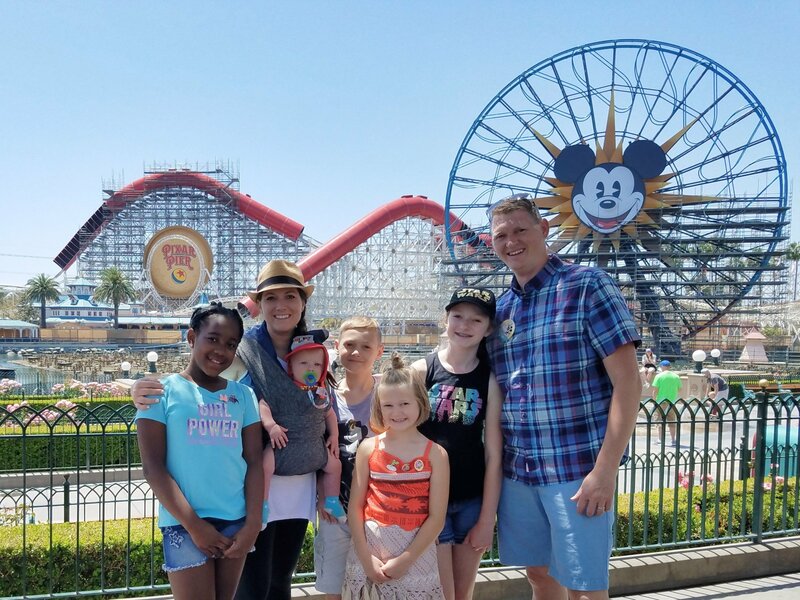 We had two days set aside for Disneyland, during a three day layover in California. 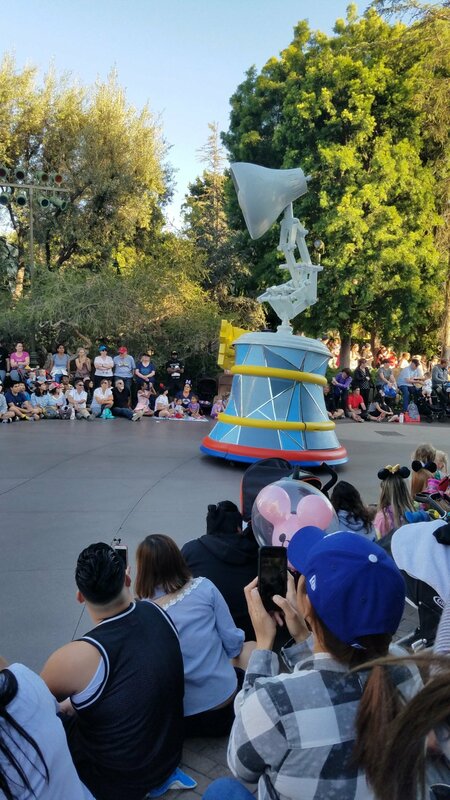 Those days just happened to fall toward the beginning of the special Pixar Fest celebration. 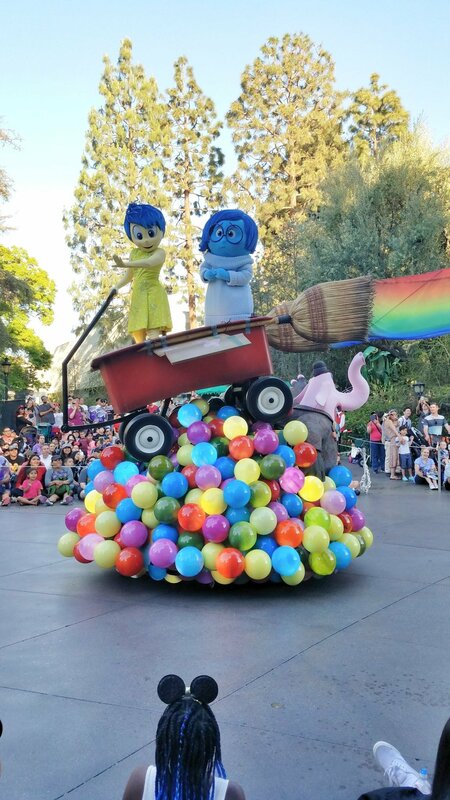 The Pixar Play Parade: A fun daytime parade complete with all our favorite Pixar characters. There was great music, impressive acrobatics and water squirted at the crowd! 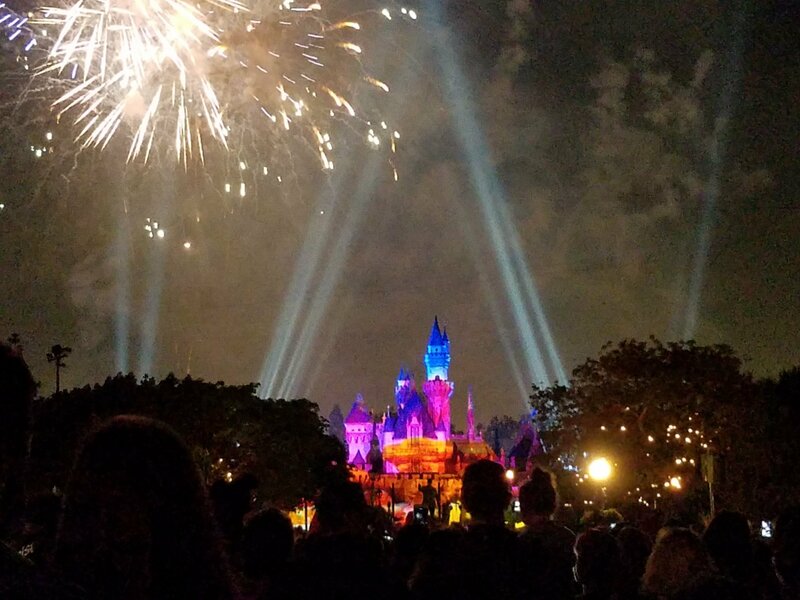 Together Forever – A Nighttime Spectacular: I have a major soft spot in my heart for Disney fireworks over the castle. I have always loved the Wishes Nighttime Spectacular at Disney World, and wasn’t sure how this would compare. It was so fun! 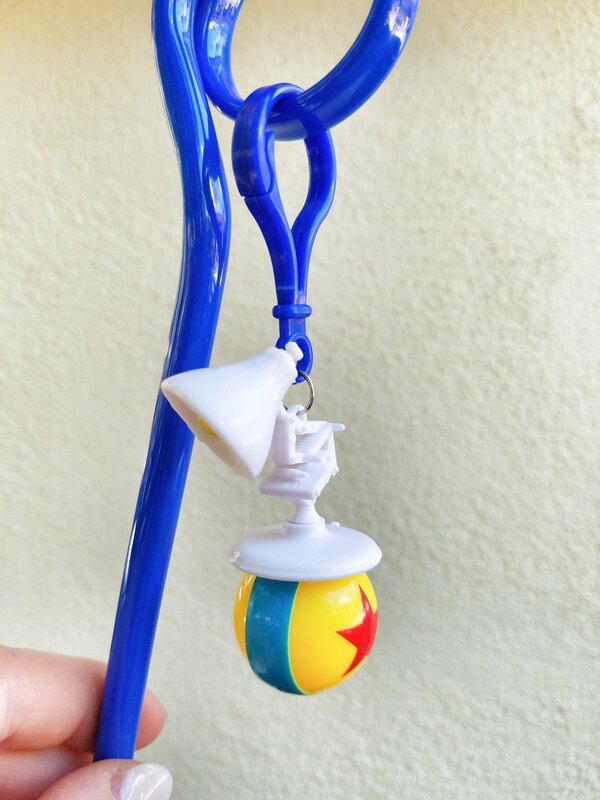 Instead of Tinker Bell flying over the castle to start the fireworks, Buzz Lightyear did the honors! 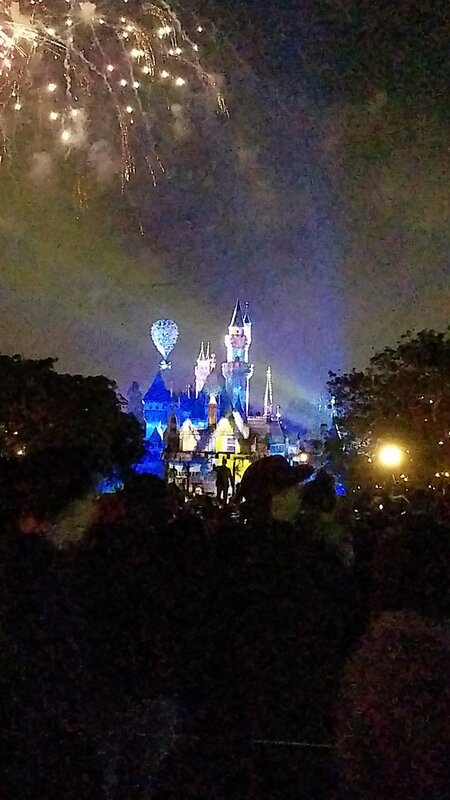 Add to that, the house from Up floated over the castle under a cluster of balloons, our favorite Pixar tunes played while the most colorful display of fireworks filled the sky. It was a truly heartwarming experience. If you want a spot toward the beginning of the parade on Main St. you’ll need to stake out a spot, several hours in advance. We were told to head to the back (toward the Small World ride) for better seating options. We found our spots with just over a half an hour left to wait. Again, if you want a prime viewing spot, you will need to start claiming a spot several hours in advance. We waiting until about 40 minutes before the show was going to start and found a decent spot in the center of the street. 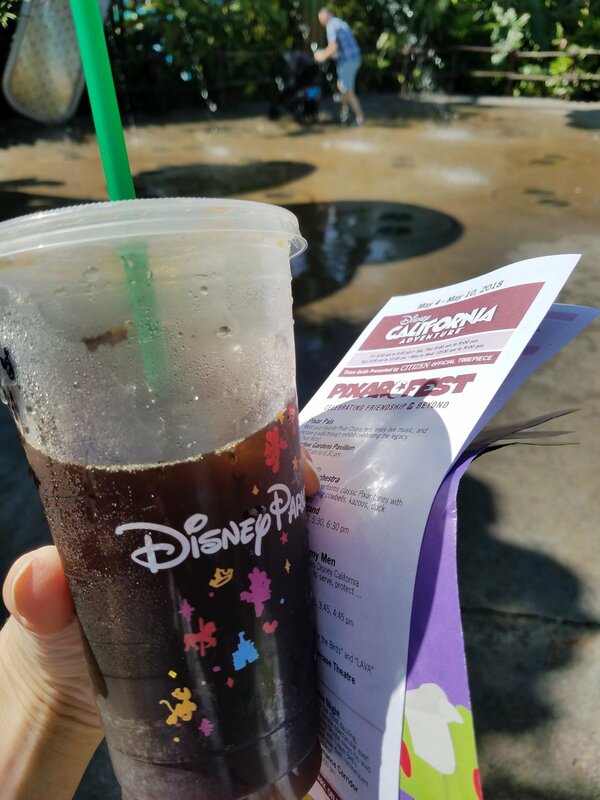 Be sure to ask a cast member where the designated spots are, as it can be a little confusing. 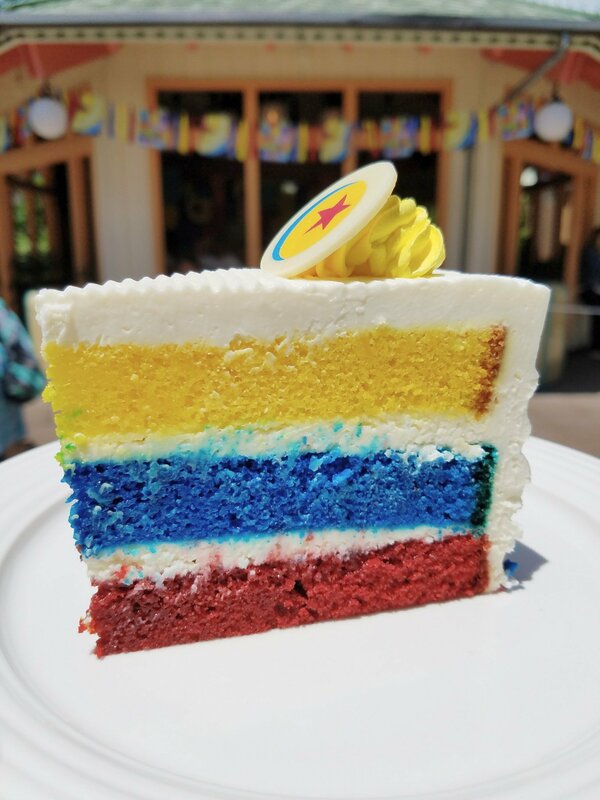 All the Pixar themed food! 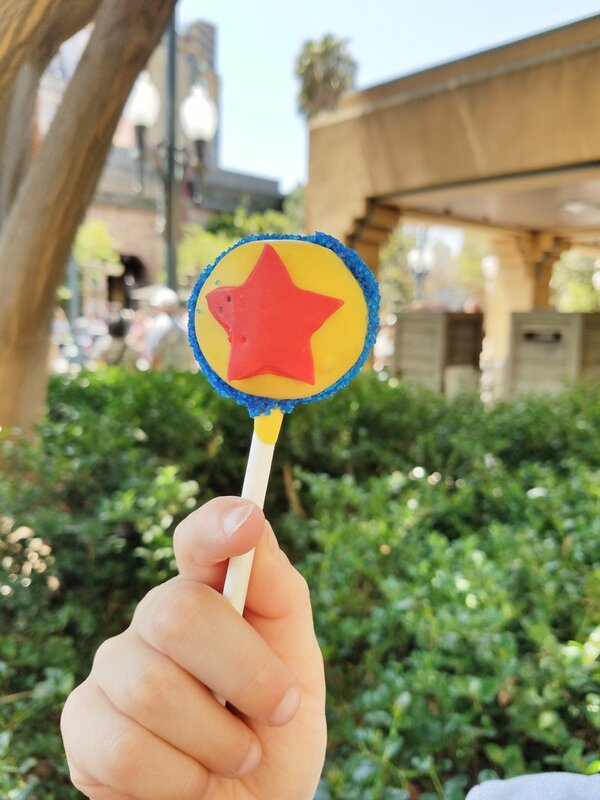 Find special Pixar Fest food all around the park. 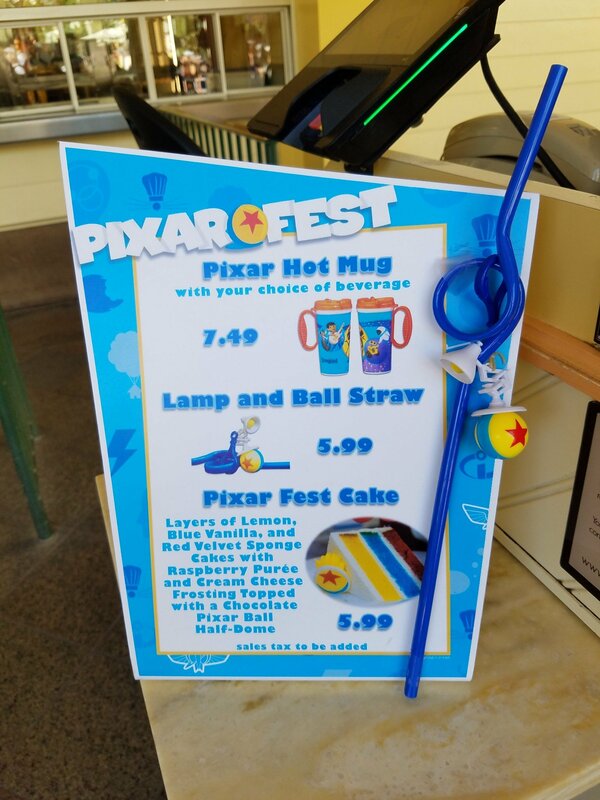 Many restaurants will have special Pixar menus on display. 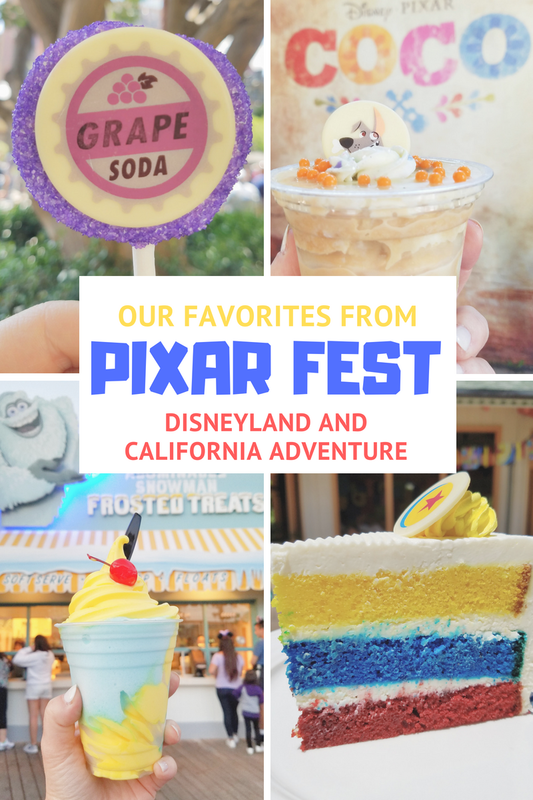 Our favorites included the Pixar Lemon Cake and Tres Leches Parfait (both from the Paradise Garden Grill), The Grape Soda cake pop (found on Buena Vista Street) and the Pixar Pier Frosty Parfait from the Adorable Snowman’s Frozen Treat stand. 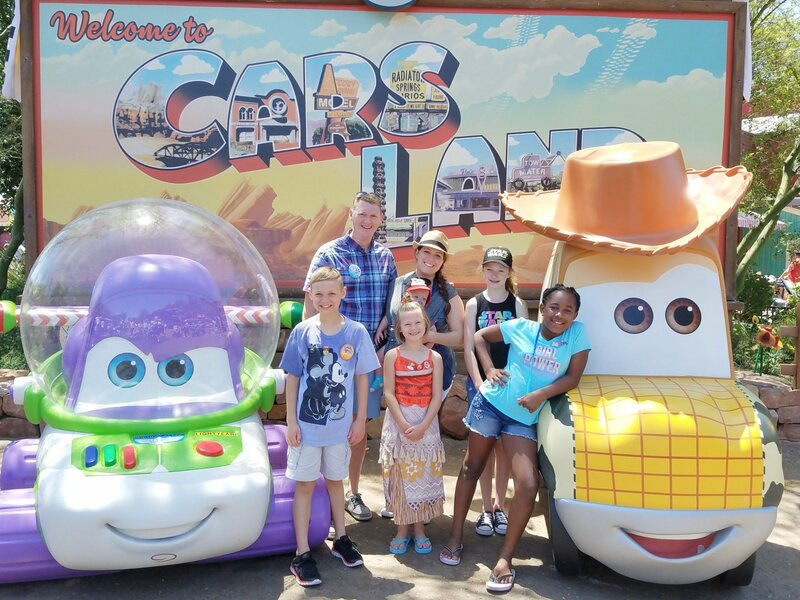 Cars Land and Bugs Land: Not specifically a Pixar Fest attraction, but these Pixar themed lands were definitely highlights for us! 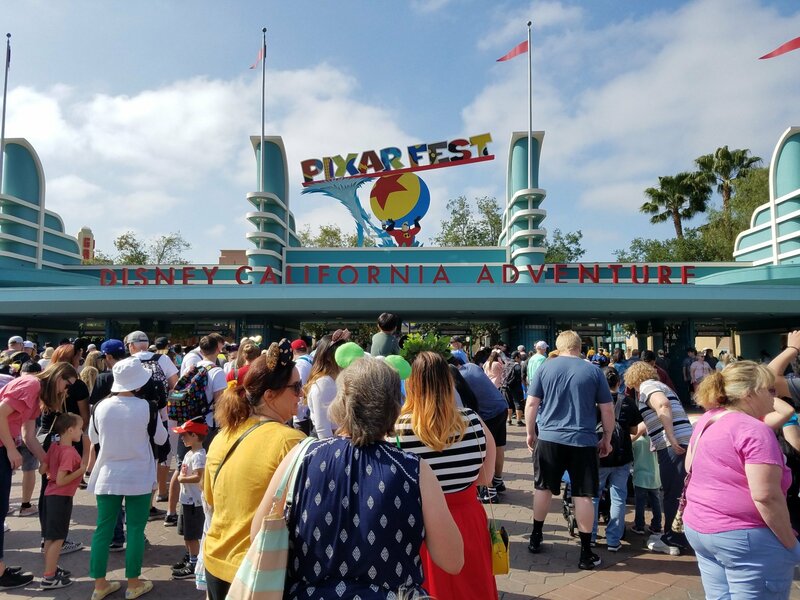 Pixar Pier: We were bummed by the construction going on and not getting to ride several of the key attractions, but it was fun seeing the transformations taking place. What used to be Paradise Pier is now being transformed into Pixar Pier. 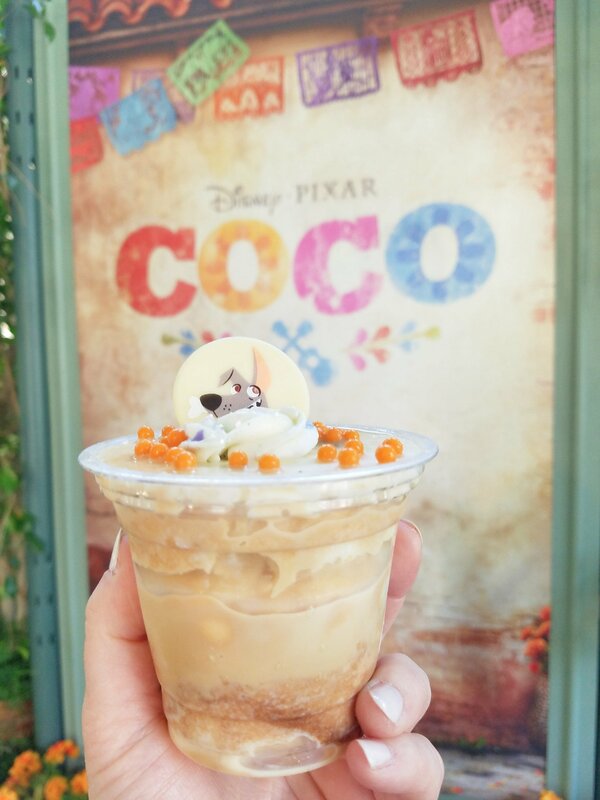 We were thankful that the Toy Story ride was still open and that the Adorable Snowman’s Frosty Treat stand had just opened for business! 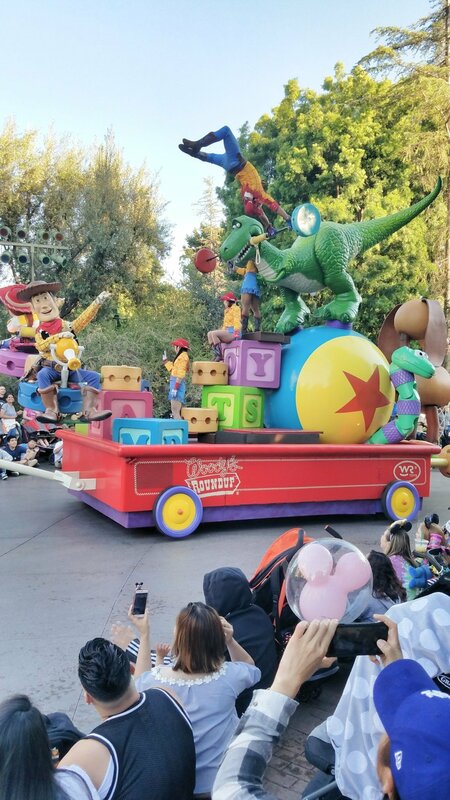 Pixar Characters: It was fun seeing all our favorite Pixar characters walking around the park. 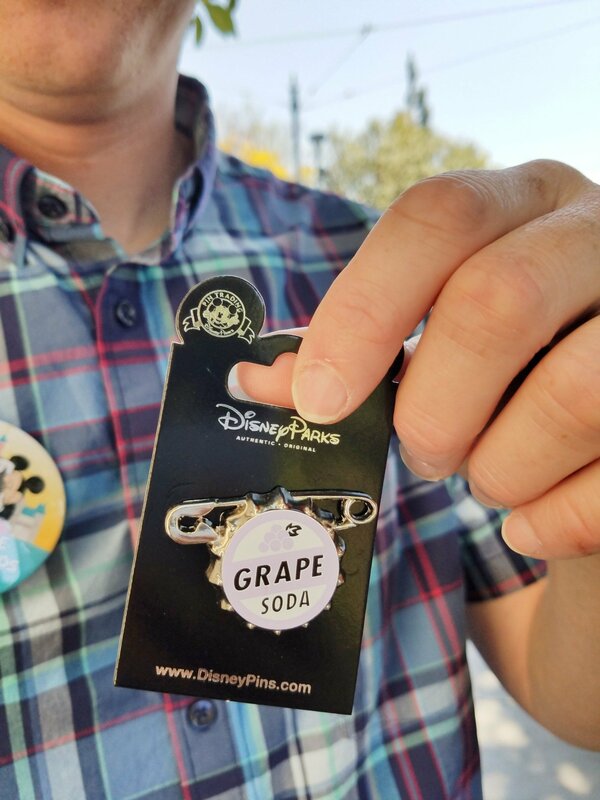 Many of them are located at Pixar Pier, next to the Paradise Garden Grill. Everyone packed a refillable water bottle in their lightweight backpack. We brought peanut butter and jelly sandwiches with us and a few snack items. 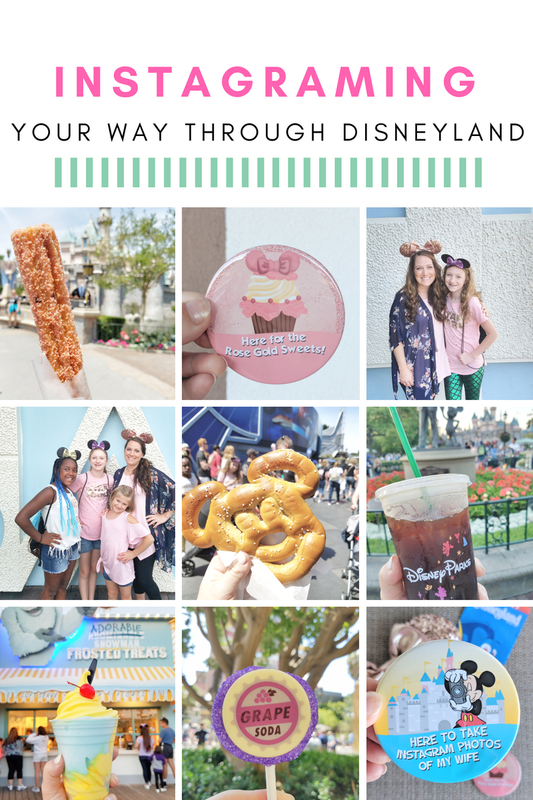 I explained ahead of time that we wanted to sample as many yummy things as possible, but that we would be purchasing one of each thing for everyone to share! 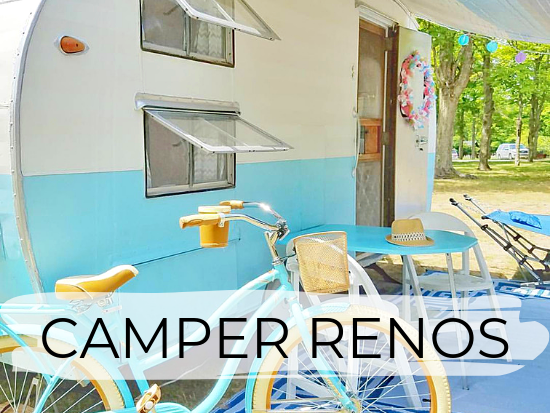 Our crew camped out for a long time under the shade trees near the Paradise Garden Grill. The tables and seating there made the perfect spot to rest and eat. 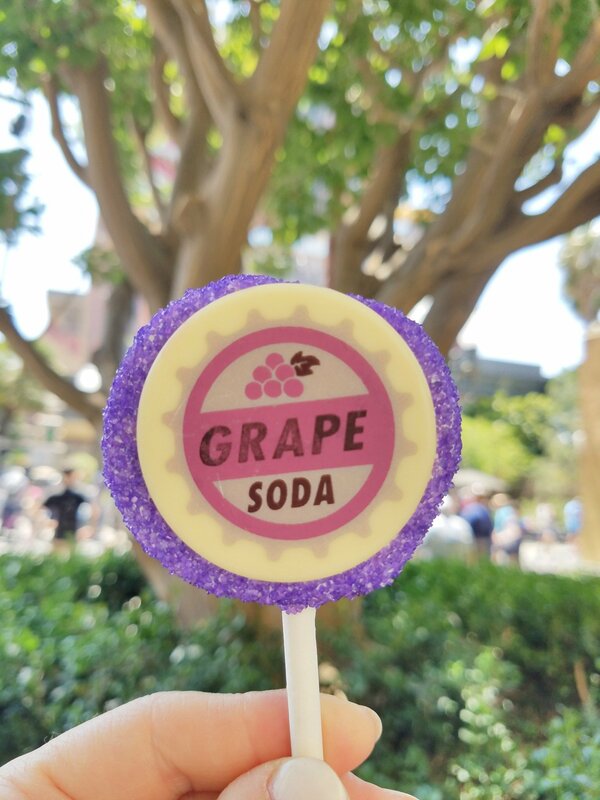 We bought our main meal at the Paradise Garden grill, sampled all the Pixar Fest specialties and watched characters come and go. There is a restroom right there and several rides within view. 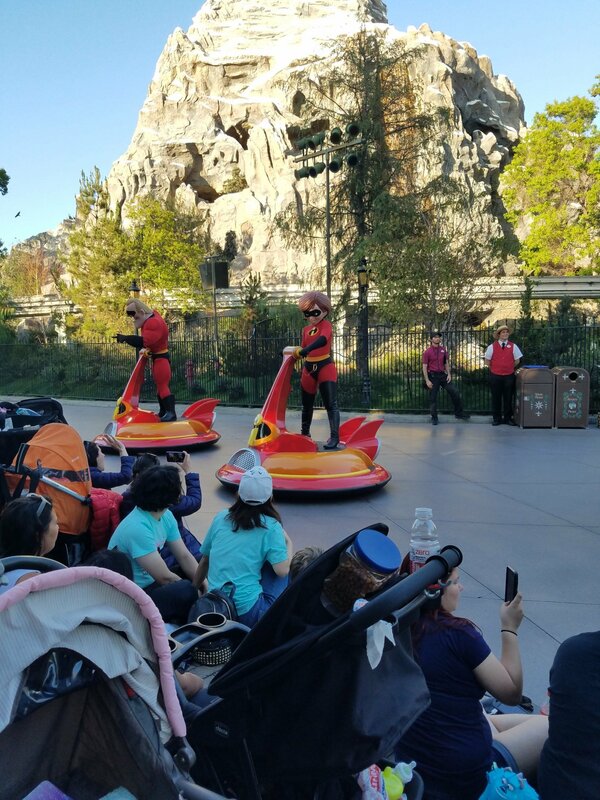 Our big kids were able to jump on several rides and come back to check in with us, while my husband and I rested with our 10 month old. 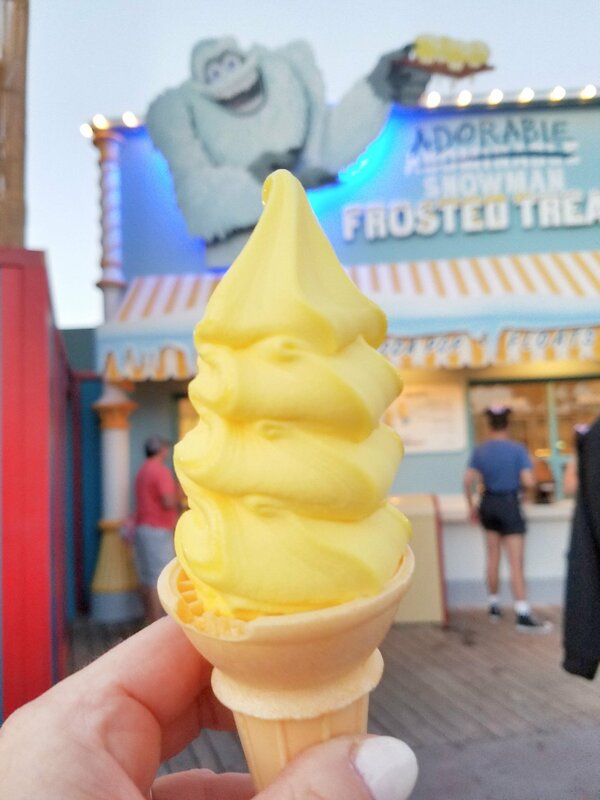 Because the Adorable Snowman Frosted Treat stand had just opened on Pixar Pier, the line was crazy long most of the day. We circled back to it several times throughout the day to check the wait time. I had a sinking feeling that it was a lot of hype and wouldn’t be worth the wait, but you know we had to do it! We waited until later in the night when the sun was going down and found the shortest line. It was still about a 40 minute wait, but it was shorter at that point than during the heat of the day. We sampled several items on the menu. Everything is super cute and incredibly “Instagramable” (which is what everyone was immediately doing! ), but not as amazing as I hoped it would be. 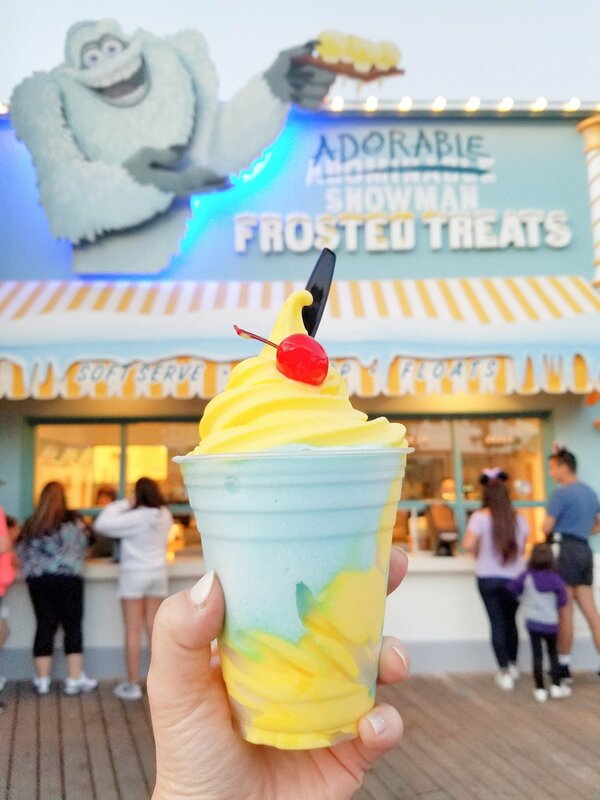 I am a big lemon fan, but I had hoped the non-dairy frozen treats would be a little creamier (like Dole Whip). 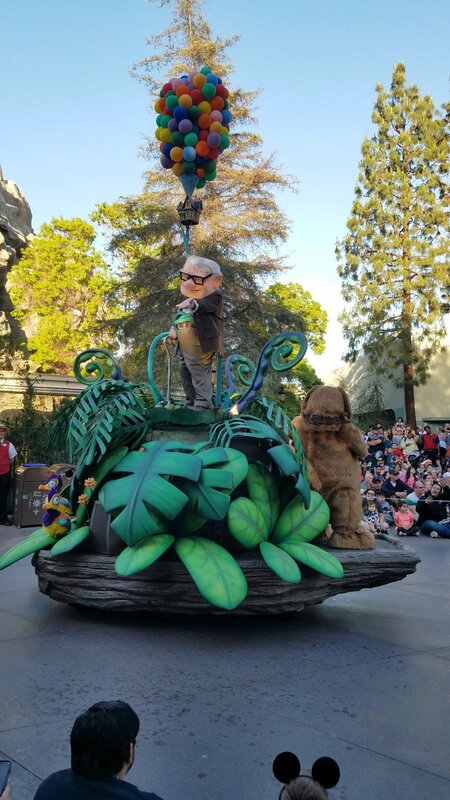 We had such a fun time at Pixar Fest!